Stroke is a clinical disorder that affects patients differently. Most individuals who have survived stroke continue to improve their lives over a long time gradually getting back to normal. Recovery from stroke involves changing the physical, social and, even the emotional aspects of your life. These changes prevent additional strokes from recurring and also solidify your road to complete recovery. Rehabilitation is all about going back to a normal life and living independently as before. One needs to take an active approach to ensuring that the goal is realized. It could involve learning new skills, like music and art, or relearning the old ones. It may also require adaptation of new limitations and post-stroke conditions. Or even finding new social, emotional and practical support. All these requires a positive mind and a strong will. There indeed is life after stroke. 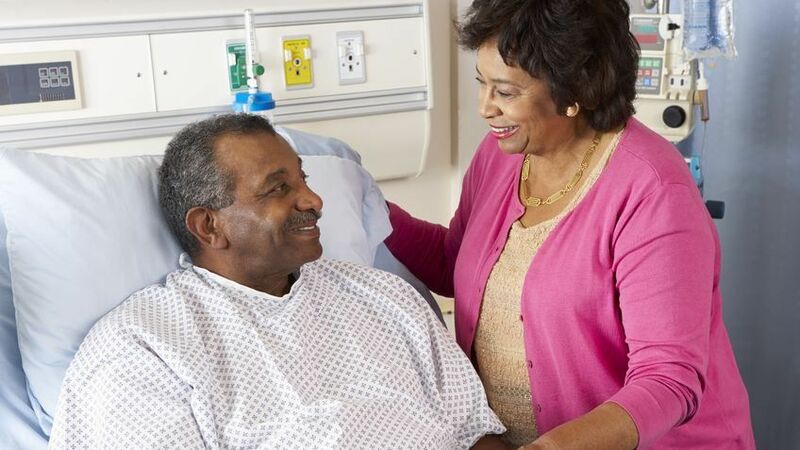 The road to recovery usually begins with acute care from the hospital. Here a stroke survivor is assessed and then a treatment plan is developed for the recovery process. The key bit here is for you to incorporate yourself into the community you lived before the stroke. Some will head to a rehabilitation center before going back to the community. However, most go back home after leaving the hospital. As you begin your journey to recovery, it is critical that you maintain your safety, often seek rehabilitation services and mitigate the risks of developing another stroke. Stroke has been established to be the leading cause of adult disability. In the US it affects approximately 795,000 people every year. The cruel name “stroke,” implies no one is ever prepared for it. After a stroke, the victim, and their family often find it hard coping but eventually will find a solution by being patient, persevering, ingenious and creative. Early recovery of stroke and rehabilitation improve functions and sometimes complete recovery for a stroke victim. Brain and Neurological studies have not been exhausted; there is still much to learn about them. Therefore we don’t know how much the human brain compensates for the damage caused by a stroke. In some rare cases, the brain cells are temporarily damaged but not killed therefore resuming function over time. In such a case the brain reorganizes its functioning taking over the damaged region and becoming healed. This is why stroke survivors experience remarkable and unprecedented recoveries that include learning how to play the piano without lessons before or even becoming a sketch artist and so on. Rehabilitation goal is to improve function to enable the stroke survivor to become as independent as possible. This must be done in a way that there is no compromise to dignity while motivating the survivor to relearn basic skills like bathing, eating, dressing and walking and even learn new ones. Physician; who specializes in rehabilitation following injuries or accidents. Neurologist; who specializes in brain and spinal cord and helps to prevent, diagnose and treat strokes and other diseases. Rehabilitation Nurse; who will help people with disabilities and also help survivors manage health problems that affect stroke like, diabetes and high blood pressure and eventually help you to adjust to a post-stroke life. Physical Therapist (PT) Helps stroke survivors with difficulties in moving and balance. Occupational Therapist (OT). Teach stroke survivors strategies to manage daily activities such as bathing, eating, and writing, dressing or cooking. Dietician Educates survivors about healthy eating and special diets for brain and spinal cord health improvement. Social Worker Helps survivors on rehab programs, insurance, living arrangements, and support services in the home. Neuropsychologist Diagnoses and treats survivors in thinking, memory, and behavior after stroke challenges. Case Manager Ensure survivors carry out follow-ups to acute care, and also coordinate care with multiple therapy providers. Provide links to local services. Hand therapy balls are inexpensive tools you can use as a therapy in stroke recovery to specifically regain hand movement after a stroke. If you are developing strength, it is recommended you use a soft squeeze ball, and if you focus on gaining coordination, use the firm ball. Hand therapy balls come in varying densities consequently enabling you to challenge yourself consistently. Power Grip: Squeeze the ball with your fingers and thumb. Focus on the pads and fingers, pressing them into the ball. Pinch: A thumb and fingers exercise. Extend the fingers and thumb and pinch the ball. Thumb Extension: For the thumb, roll the ball up and down your palm by flexing and extending your thumb. This rolls the ball in a straight back and forth motion. Table Roll: Place the ball on a table, roll the ball from the tip of your fingers towards your palm. Finger Flexion Different from the power grip, hold the ball in your palm and press your fingers into the ball. Focus on an inward movement of the fingers. This is for coordination. Thumb Roll: Different from the thumb extension. Use your thumb to roll the squeeze ball in a circular motion on your palm. Finger Squeeze: Just squeeze the ball between two fingers. Thumb Opposition: Opposite from the thumb extension. The ball is rolled in a side to side direction on your palm using your thumb.